I wrote this book because when I started teaching religious ed, it was a disaster. I knew the faith and I had experience teaching, but I was totally blown away by the power of a room full of tired, jaded, teacher-wise ten year olds. Classroom Management for Catechists is a summary of all the things I learned in the process of turning that first fateful class into something amazingly good. The book provides detailed, step-by-step methods for catechists on how to manage classroom behavior with love and grace. These are the time-tested methods for classroom discipline used by professional educators, but applied specifically to the particular challenges of the parish religious education setting. Because quality teaching is one of the cornerstones of a good classroom experience (trust me: children will not behave if you are boring them to death), the book covers the basics of class planning, including chapters addressing each of the big pitfalls waiting for catechists — stuff you don’t necessarily face in any other environment. 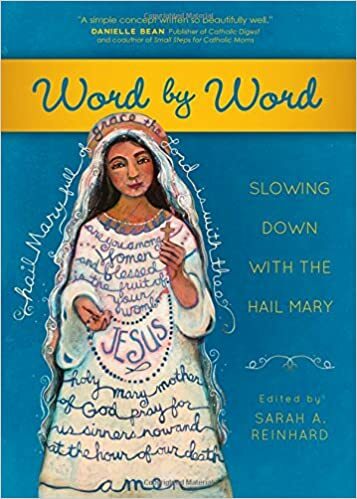 If my spiritual life were evaluated on an elementary school report card, I’d get an N for “Needs Improvement.” I originally wrote the Lord You Know I Love You retreat for use by a local chapter of the Catholic Council of Women in February, 2013. It is now available on Kindle, and a paperback edition is coming soon. 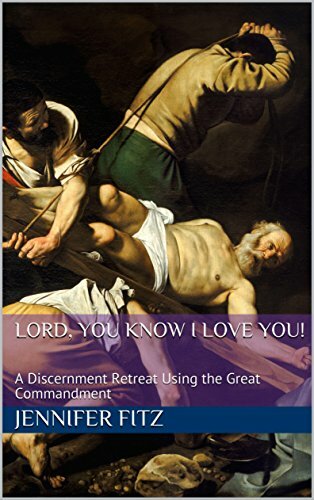 The retreat walks you through the Great Commandment using the four ways of loving God — heart, soul, mind, and strength — as the basis for self-examination. If you wish to discern on behalf of a ministry or apostolate, or evaluate your work as a catechist or faith-formation leader, there are sections in each chapter tailored to those contexts. 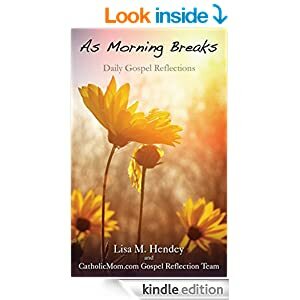 This book makes a great Lenten retreat, and is geared towards ordinary Catholics across the spectrum. You can work through it as a group or on your own, whatever you like. My friend Sarah Reinhard undertook a massive collaborative blogging project, and it turned into this book. Me and a bazillion authors you already know or really should know each wrote a reflection on a word of the Hail Mary. My word is “women,” and I was nervous when the book arrived that I would have written something I regretted, but nope, I did great. 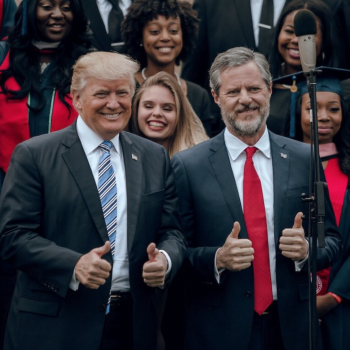 No surprise that some of the writers who accepted the call when all they had was enthusiasm and a heart for Jesus have since gone on to big things. Sarah has an eye for picking talent. 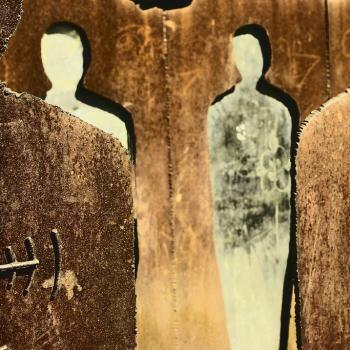 A reflection on the daily Gospel reading for every day of 2015. This is from the team at CatholicMom.com, bringing you a brand new set of reflections for the new year. You can preview the first month, which lets you get a taste of each contributor’s style and the kinds of ideas that will be coming your way each day. If you just want to see my name in print, scroll down to the 16th. 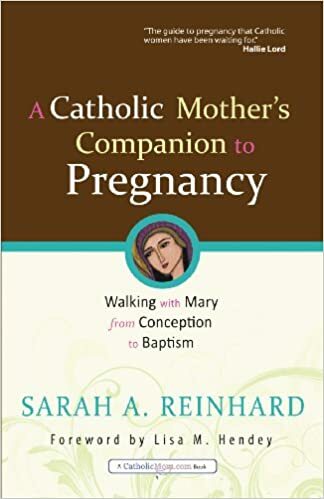 All the proceeds from the sale of the book go to help underwrite the cost of keeping CatholicMom.com up and running. This isn’t my book, it’s Sarah’s. I put it here because she asked me to write a chapter-opening on the topic of siblings and the new baby, and I think it was one of the best things I ever wrote. This book is hands-down fantastic, and I don’t usually like books like this. I couldn’t be more pleased to have been a part of it. I wouldn’t be much of a blogger if I didn’t like to write free stuff. Here are links to a few things I’ve done that you can download at no charge, share and enjoy. If you’ve read Forming Intentional Disciples by Sherry Weddell, you probably agree it’s a must-read for any Catholic who cares about evangelization. This is the link to the discussion guide published by CatholicMom.com for the 2013 Lawn Chair Catechism. The guide includes a chapter-by-chapter summary and questions for reflection and discussion. 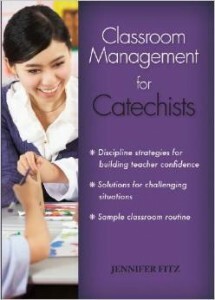 Need to give a talk on classroom management to the catechists in your parish? I put together this pamphlet to serve as a set of talking points for just such a short course. You can print both sides (instructions here) or print just the front side and put whatever you like on the back. 1. Plan a social event, or a fellowship time during a scheduled activity. 2. Let everyone know that making a friend is one of the assigned activities for today. Catholics are shy. You have to kick them a little to get them to socialize. 4. Mingle and actively introduce shy persons to one another. Get them warmed up, then back away and let them make friends. Have fun with it. You can use this activity as many times as you like, or until everyone in your parish or organization knows every other person. So: As many times as you like.